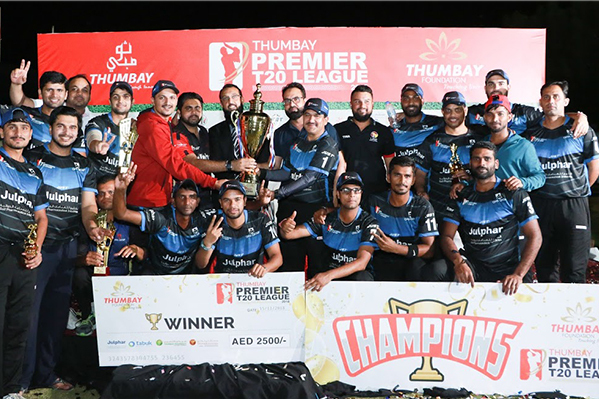 The inaugural edition of the ‘Thumbay Premier T20 League’ launched by the Corporate Social Responsibility (CSR) Committee of Dubai-based international conglomerate Thumbay Group, concluded on 15th November 2018, bringing to a close 15 exciting days of corporate cricket between 8 teams and a total of 16 matches. The tournament was conducted with the aim of encouraging community engagement among corporate, in line with the values of the ‘Year of Zayed’, and was launched under Thumbay Foundation, the charitable arm that supports the CSR activities of Thumbay Group. 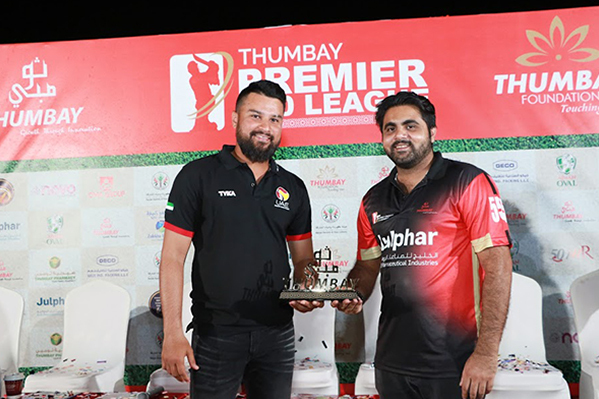 Mr. Akram Moideen Thumbay – Director Operations – Construction & Renovation Division and Director – Thumbay Technologies, also the Chairman of Thumbay Group’s CSR Committee, was the chief guest of the closing ceremony held at the Ajman Oval Cricket Ground. UAE cricketer Imran Haider was a special guest. Stressing that the primary goal of the tournament was to promote humanitarian causes, Mr. Akram added, “We are glad to announce that the proceeds from this tournament by way of registration fees will be spent exclusively on humanitarian initiatives under Thumbay Group’s CSR Committee,” amidst loud cheers and applause. Mr. Akram promised that the next edition, in 2019, would be bigger and more exciting. This year’s participating teams included: Novo Health Care, GECO IPL, Thumbay Group, Zulekha Hospital, SEWA, Emirates NBD, AW Rostamani and OMA Emirates. The CSR Committee oversees the CSR activities and programs of Thumbay Group. It discusses and decides on practices relating to the company’s corporate social responsibility on a global basis, including matters related to education, health and safety, environment and community welfare. The committee has successfully carried out several CSR programs at various parts of the country, promoting causes and activities benefiting low-income groups, women, children, various professional groups etc. Free medical and health camps for the public led by Thumbay hospitals and clinics are a regular activity conducted under the committee’s guidance and supervision, benefiting thousands of people, especially blue-collar workers. The committee also facilitates scholarships and financial assistance for academically bright and financially backward students desirous of pursuing professional medical courses.